PM Netanyahu to meet Russia's President Putin and US envoys to discuss Iran, Syria, and renewing talks with the Palestinian Authority. Israeli Prime Minister Binyamin Netanyahu and Russian President Vladimir Putin will meet on Wednesday in the Russian city Sochi, near the Black Sea. The two leaders will speak about regional developments, especially in light of Israel's concern that Iran's influence in Syria is growing. 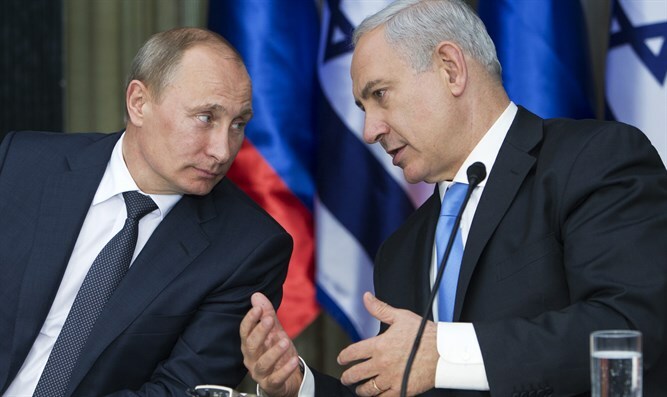 "In the past two years Prime Minister Netanyahu has met with Russian President Putin every few months in order to discuss bilateral and regional issues and in order to prevent friction between the Israeli and Russian air forces in Syria, so far successfully," a spokesman said. On Thursday, Mossad Chief Yossi Cohen, US National Security Advisor Herbert McMaster and Middle East Special Peace Envoy Jason Greenblatt discussed Iran's influence in Syria. "NSA LTG McMaster led the meeting from our side and we had a very productive discussion on our strong and continuing partnership," Greenblatt tweeted on Thursday night. Greenblatt and Netanyahu are scheduled to meet White House adviser Jared Kushner on Thursday in Jerusalem. During the meeting, the sides are expected to discuss renewing negotiations between Israel and the Palestinian Authority. Though Israel has agreed to negotiate, PA Chairman Mahmoud Abbas continues to delay the meeting. Earlier this week, Israel Hayom reported that a senior PA official said the PA received messages from sources in Washington that Jared Kushner will meet Abbas with a pledge or guarantee from Trump.